The traditional structures of art are undergoing a seismic shift. 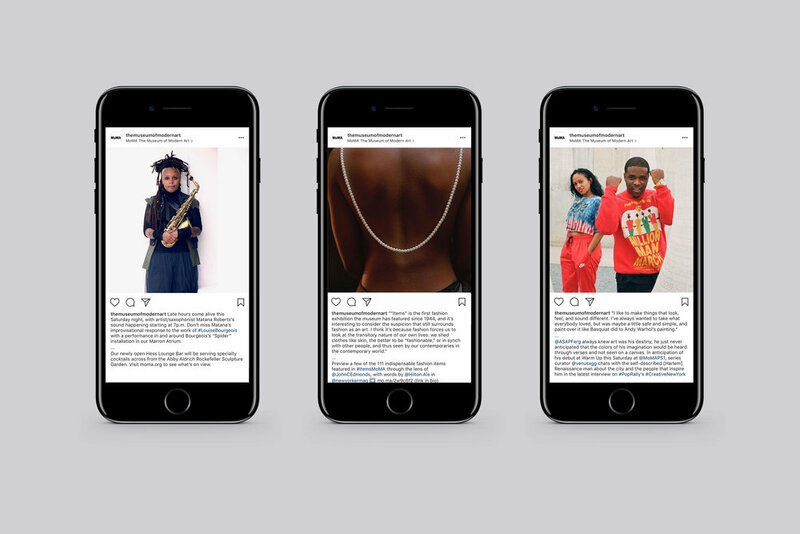 Driven by social media, an exploding visual culture is changing the traditional ways people access art, leading to new questions about what is a ‘curator’ and what is ‘art’. In that world, there is a newly vital role for MoMA as a provocative authority. 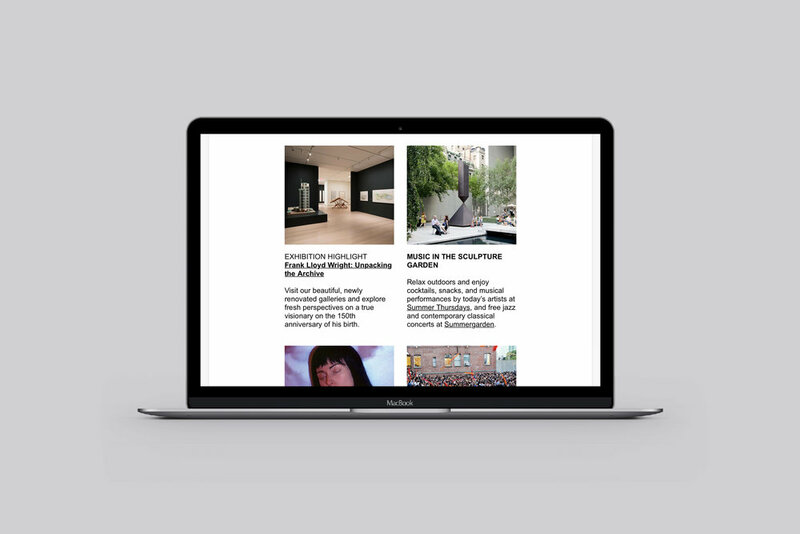 Working with the MoMA, we simplified how people navigate the museum’s current offerings as well as catalyzed innovation in the visitor and member experience for the future. We then helped MoMA form a series of cross-department innovation teams to ideate and implement new visitor experiences. The first wave of innovations are rolling out this year – focused on deepening membership programs, engaging New York City visitors and artists, and building a responsive visitor experience. We redefined artist membership by widening the definition of eligible artists to match the art forms that MoMA shows – designers, directors, performers — as well as painters and sculptors. We advised MoMA on simplifying the application process and reducing the price, while extending the benefits to include an exclusive artists night at the museum to facilitate artist networking and to facilitate intimate experiences with the art. The number of artist members has grown by 57% since its implementation. The NPR co-produced podcast, A Piece of Work, featuring Abbi Jacobson and guests (Questlove, Hannibal Buress, RuPaul, Tavi Gevinson among others) discussing culturally and personally relevant takes on how to engage with art. New programming to further engagement (music in the garden, workshops, explanatory videos and after-hour member events). Visualization of the revamped brand architecture and visual identity (Made Thought) where “MoMA” is elevated as the brand / programming that happens at various physical locations, such as The Museum of Modern Art on 53rd St, MoMA PS1 in Queens, the Design Store in Soho and online at moma.org. Programming is increasingly cross-disciplinary, supplemented by outside voices, and filled with an authentic NYC perspective. MoMA’s Tumblr post announcing the new hours. Intimate art experiences, followed by guided meditations in the main lobby offer New Yorkers a unique way to engage with the museum and incorporate it into daily life. We worked with the curatorial teams to find opportunities to disrupt existing curation schedules and be more agile in responding to the social issues in the world. MoMA’s unparalleled collection allows the museum to curate art experiences the spark conversation and challenge people to think differently about the world around them. Dedicated spaces in the museum to engage visitors to share their thoughts. From lo-fi post-it note walls and curator gallery talks to Instagram Stories and Facebook Live, MoMA is seeking to meet people where they are, physically, emotionally and intellectually, letting them know that they and their thoughts are welcome and valid in the museum. For more future-focused, visitor journey innovations, we created maps that both showed how current visitors engage with the museum and where the pain points were in their journeys, as well as a future map highlighting conceptual ideas for solving these issues and improving the journey on the whole. Innovation ideas looked utilize soft technologies such as machine learning to seamlessly surface relevant information to visitors at the right time — before, during and after their visit to the museum.